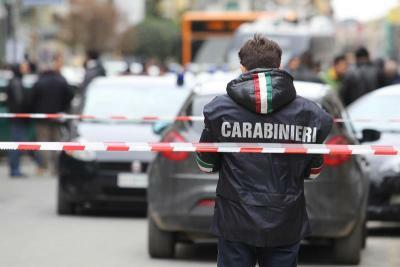 Luigi Mignano, 57, was in a car with his son, Pasquale, 32, at Rione Villa, in the San Giovanni a Teduccio neighbourhood when two people on scooters approached and opened fire. Around 10 shots were fired by the scooter’s passenger, police said. Emergency workers were unable to save Luigi, who died instantly. Pasquale sustained leg injuries and was taken to the Ospedale del Mare. The victim’s three-year-old grandchild is believed to have witnessed the bloodshed but remained unharmed. The incident happened Tuesday morning just after 8.30 a.m., when the area was teeming with parents taking children to the Vittorino da Feltre school, and parishioners were heading to church. “Until this morning we were confident that the situation had improved, then an ambush in front of a three-year-old child, the grandchild of the victim, made us understand that the ferocity has increased,” said Padre Modesto Bravaccino, a priest at the nearby church. Police are yet to establish a motive for the murder.